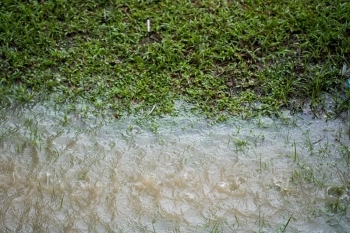 Wet and flooded basements can cause problems for homeowners and can cause property damage. 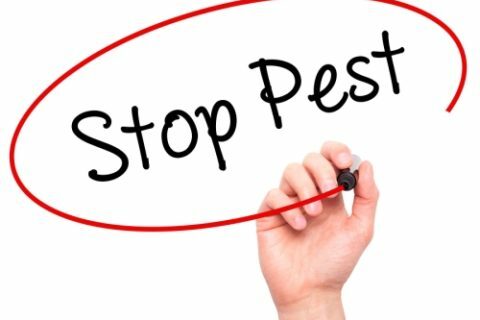 Side effects of improper foundation and basement waterproofing can lead to mold, mildew, unwanted pests, and damages to these essential support structures. Whether your basement is finished or used for storage and a laundry room, the last thing you want to discover is a pool of water from a flash flood, backed-up storm drains, heavy rain showers, or even melting snow in your basement. Here at Budget Waterproofing, Inc., we have encountered numerous wet and flooded basements over the years. To help you check your home and see if you are protected against wetness and flooding in your basement, we invite you to review the following six steps. Leaves and other debris can get into gutters and eaves and clog downspouts. Any water runoff from the roof when it rains, or from snow as it melts, will not drain away from the home correctly. Instead, the water can overflow and drain next to the home, along the foundation wall. The risks for basement flooding are increased when there is an excessive amount of water runoff near the home. It is a good idea to check your gutters, eaves, and downspouts at least twice a year for proper drainage. 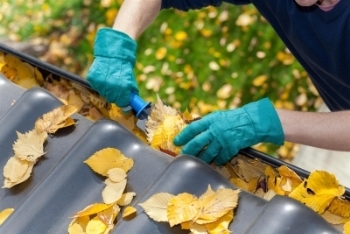 In the fall, you will want to clean the gutters and eaves out regularly, every three to four weeks until all the leaves have fallen. Gutter and eave downspouts should be extended far away from the home. There are extensions you can add to existing downspouts. Even if you drain the roof runoff water underground, make sure the underground drainage area is on a downward slope, sufficiently away from the foundation of the home. Water does not need a big opening, crack, or gap to get inside. Even a small hairline crack could allow water to flow into your basement. Not to mention, any hairline cracks in the foundation walls could become bigger after several freeze and thaw cycles. In the winter, if there is moisture in foundation cracks, it freezes. Ice expands as it solidifies. This places pressure on the foundation and causes the crack to enlarge. Then, when it warms up and the ice thaws, water now has a larger opening to get inside your home. It is important to seal any gaps or cracks in the foundation. 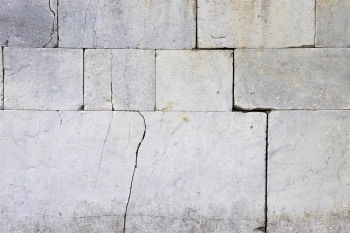 If you notice other types of damages, like where there are chunks missing from concrete blocks, these also require repairs. Otherwise, the risks of your basement flooding will increase. The next time it is raining, take a walk around your home to see if there are any areas near the home where water is pooling. Pooling water is often a problem when your landscape is not properly graded and elevated sufficiently to cause water to drain away from the home. There are different things you can do to resolve pooling water problems. You could increase the gradient of landscaped areas so they have a minimum of a two percent slope away from the home. For paved areas, you want to ensure the slope is at least one percent. You could also install drainage systems where the water goes into the drain, runs through a PVC pipe, and is released elsewhere on the property through pop-up release drain valves. Our professional waterproofing solutions can help identify current and potential issues and help avoid costly basement flooding clean up later. Keep in mind there could be damage to the foundation underground you cannot see on the exterior side of the foundation walls. Our basement waterproofing technicians can help determine if there could be potential damages to the exterior side of the foundation and recommend the appropriate solutions. In some cases, you may also require a sump pump to help prevent your basement from flooding. Sump pumps can be installed in a basement or even under a crawl space to help pump the water away from the home. They can either be placed into a sump pit or directly above it. As water drains into the pit, it triggers a switch and turns on the pump. Some of our customers have also included a battery backup generator with their sump pump installation to ensure the pump will continue to work, even if the power goes out. This way, they never have to worry about flooding in their basements. If you have window wells for basement windows, you should install window well covers. These covers will stop rainwater from pooling in the wells and leaking into the basement through the windows. As an added bonus, they stop leaves and debris from getting into the wells, too! Concrete naturally absorbs moisture and can seem damp. 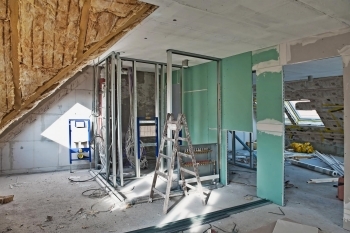 If you plan on finishing your basement, before installing drywall and flooring, remember to use the right insulating materials. There are special basement products to create a barrier between the concrete and drywall and flooring. If you do not do this, then the drywall and flooring can absorb water from the concrete and get ruined. Additionally, in the event of heavy snowfalls or rainfalls, where excess moisture is in the ground, it could further elevate the potential for water seepage into the basement and possible flooding. Many homeowners are surprised to discover they are not always covered for damages and losses after their basement floods. We recommend reviewing your current policy with your insurance agent to find out if damages and repairs from basement flooding are included. If not, then you should consider adding flood insurance if you are in a flood risk area. Most flood insurance policies are not that expensive. 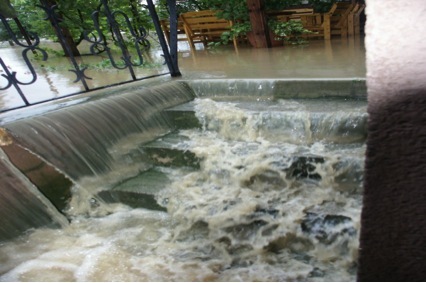 The added insurance protection can bring peace of mind to homeowners should their basements ever flood. In the event your basement floods and you have not had time to complete the steps above, you will want to get rid of the water as quickly as possible. However, the first thing you need to do is shut off the electricity in the home. You will want to call your electricity provider and request they shut the power off from outside your home, regardless of where your breaker boxes are located. Do not attempt to enter the flooded basement with the power still on. Wait until you have confirmation that the power is shut off before assessing the extent of the flooding. Once the power has been shut off, Budget Waterproofing Inc. can help with the water removal to help reduce potential damages. It is essential to get the basement dried out to avoid problems with mold and mildew. Once the water has been pumped out of the basement and it is dry, then you will want to have your foundation inspected for damages and repaired. 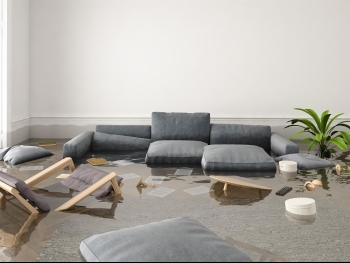 Our basement flooding clean-up experts will also help determine the cause of the water and how to fix basement flooding problems, and recommend what types of waterproofing solutions would work best for your home.